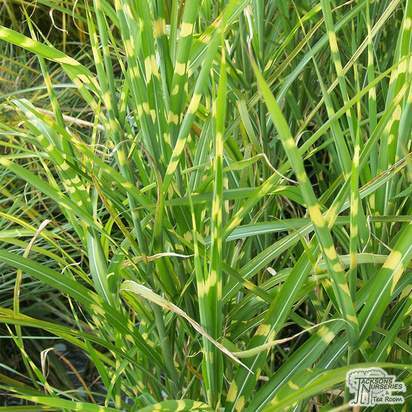 This is a sensational, clump-forming perennial grass with beautiful, arching green deciduous leaves that have attractive and very unusual creamy-yellow horizontal bands. 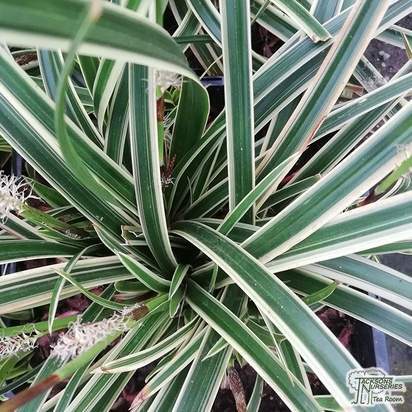 Perfect for using as a specimen plant or growing in groups in a herbaceous border, it produces silky spikes of pale pink, fan-shaped flower panicles. 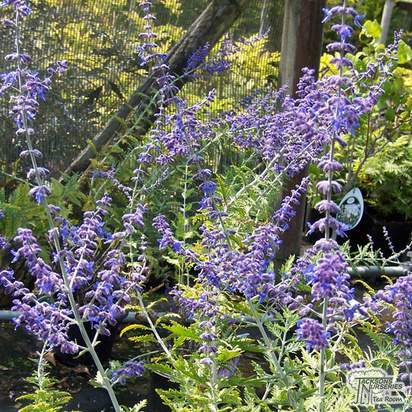 These appear between August and September and are followed by intricate, silvery seed-heads which help to maintain the plants ornamental value over the winter. 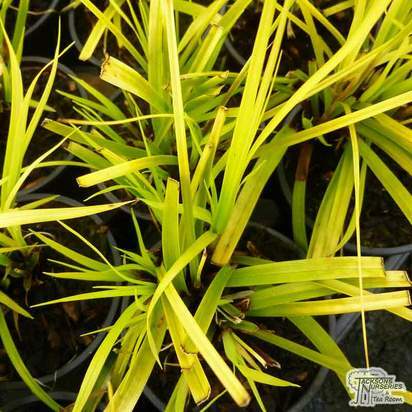 A fantastic, deciduous variety whose withered stems should be cut back to the ground in late winter. Please note, the banding is temperature dependant, only usually appearing after mid-summer. 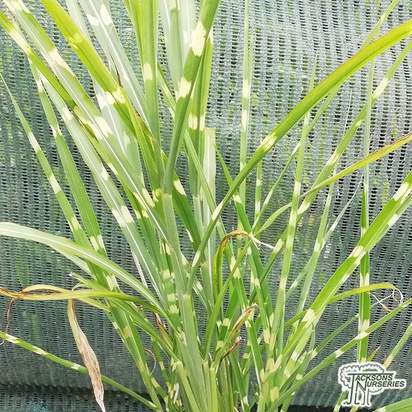 The bands are prone to sun scorch in full sun so they are best grown in light shade. 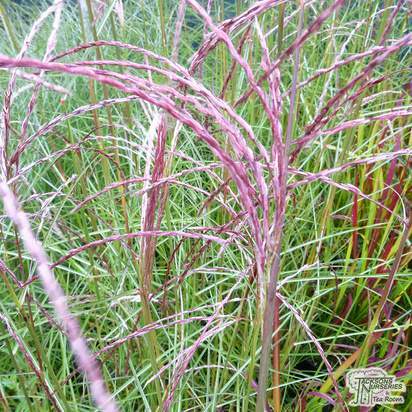 Ornamental grasses can provide calming, delicate accompaniments to colourful flowering plants, or they can be the focus of design instead. 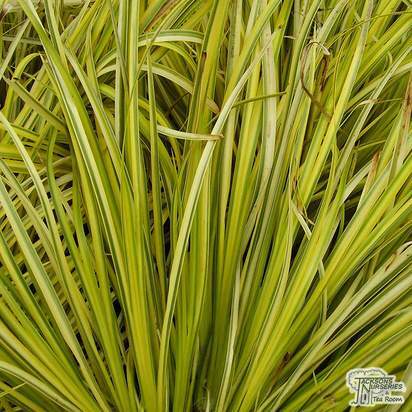 There are types available for every garden setup, soil type and position, and will provide colour, coverage, contrast and structure wherever they are planted. 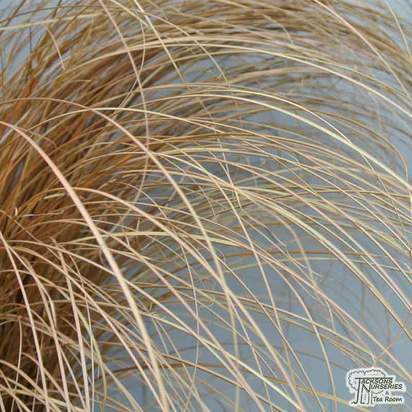 Grasses from colder climates such as Deschampsia, Festuca, Helctotrichon and Stipa grow in late winter and flower before mid-summer. 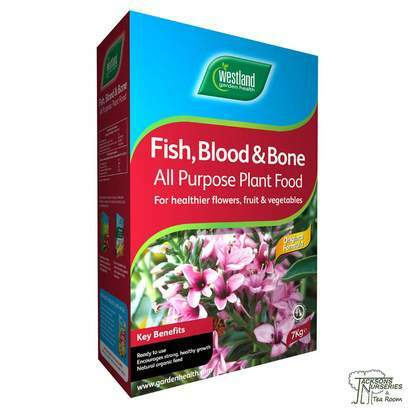 To get the best establishment, they should be planted in the autumn. 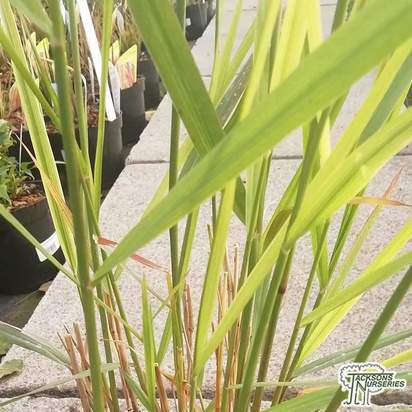 Grasses from warmer climates such as Miscanthus, Panicum, Pennisetum and Spartina grow in late spring, flower after mid-summer and are best cut back in late winter. 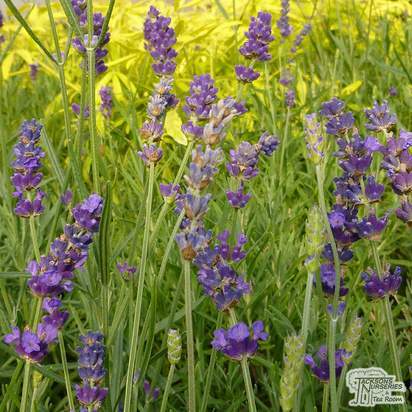 Plan them in late spring, and they will be best established. 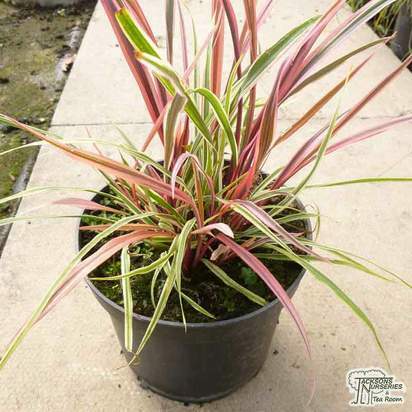 Grasses also make good container specimens, and will prosper in loamy soil. 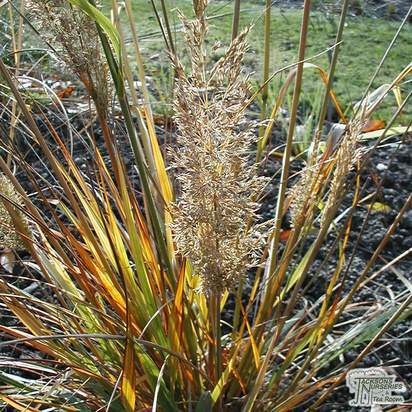 Ideally, the planting areas for grasses should be prepared in the autumn months. 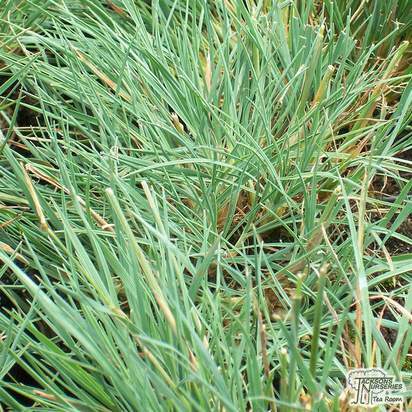 Till the soil deeply, and work in ample organic matter. 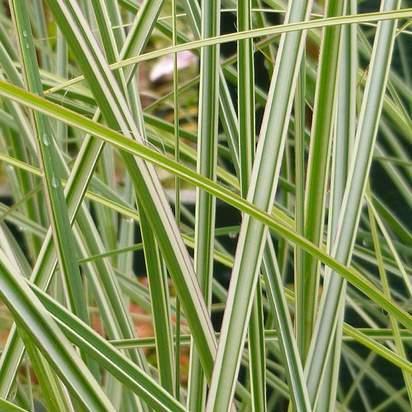 Ornamental grasses do not require large amounts of fertiliser. 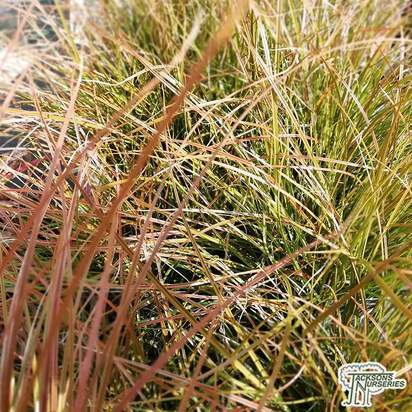 The foliage on deciduous grasses can be left until February. 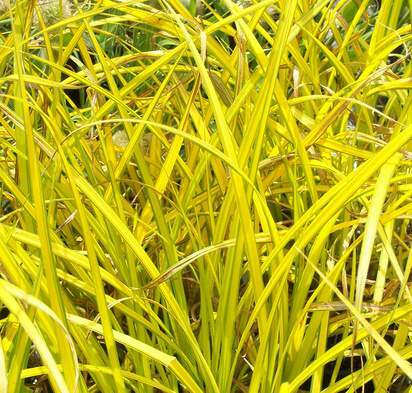 They turn brown rather than lose their leaves, and so should be pruned to ground level later in the season. 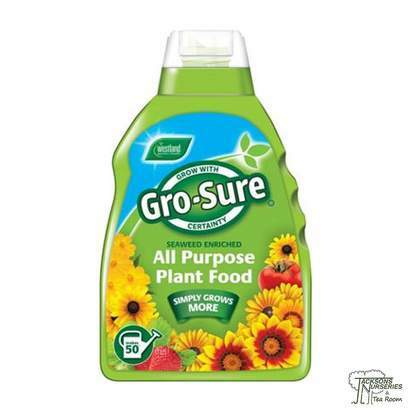 The severity of pruning required can vary from variety to variety, so care should be taken so that you don’t harm the plant. 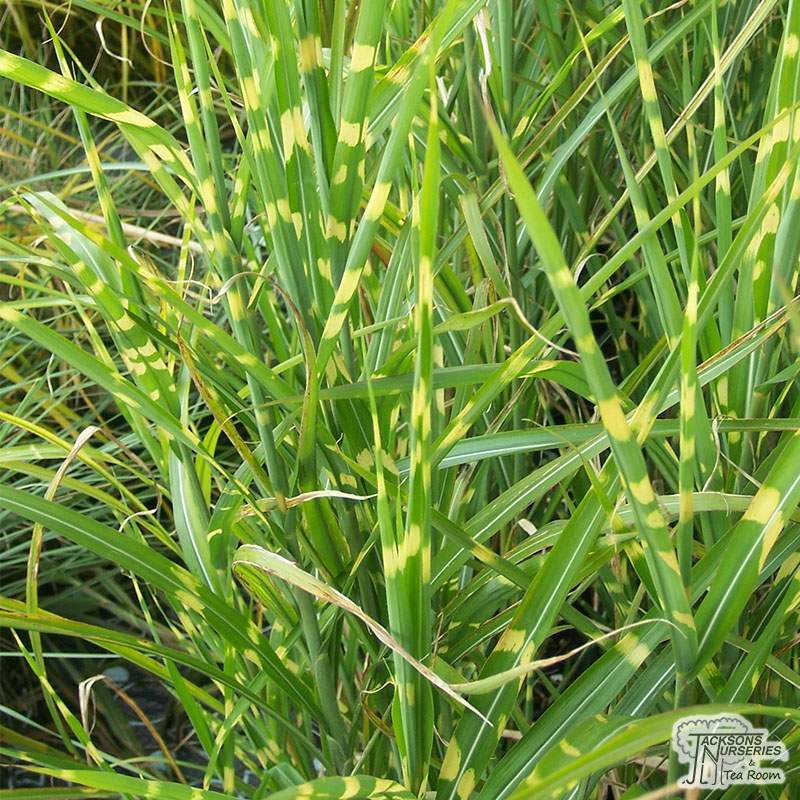 Evergreen grasses can be trimmed in spring. 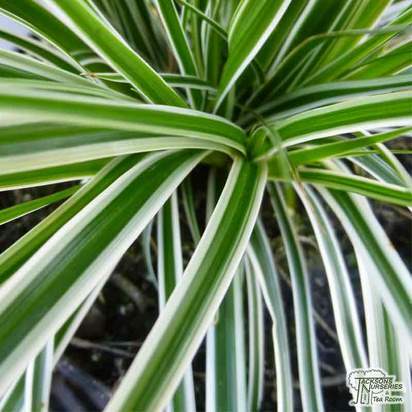 Remove brown tips and cut back dead leaves that usually collect around the base of the plant. 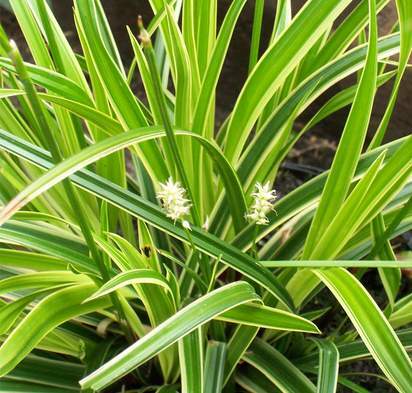 Care for your grasses by using mulch and watering them regularly. 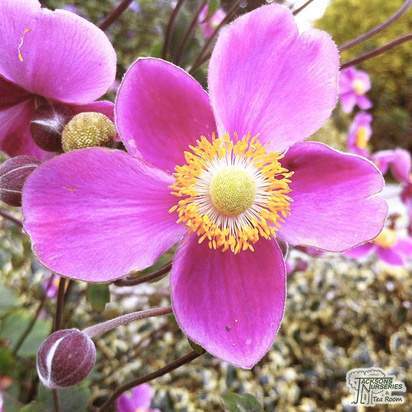 Otherwise, they are a fairy low maintenance addition to the garden. 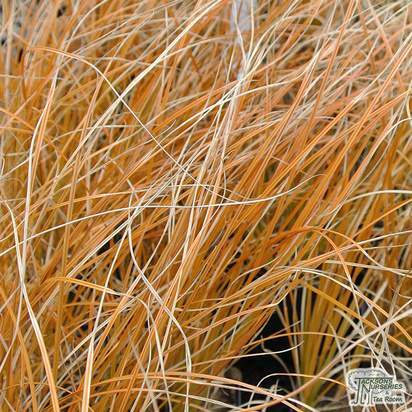 Nothing really bothers most ornamental grasses. 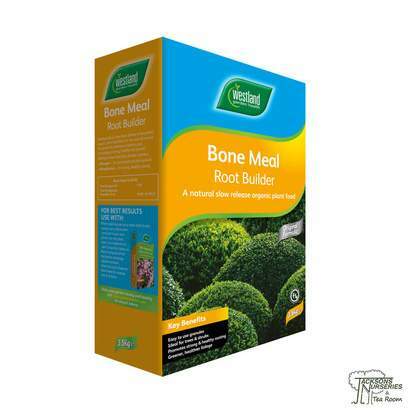 Rabbits and voles may occasionally be an issue, but they can easily be controlled using fencing and, if needs must, animal repellents.